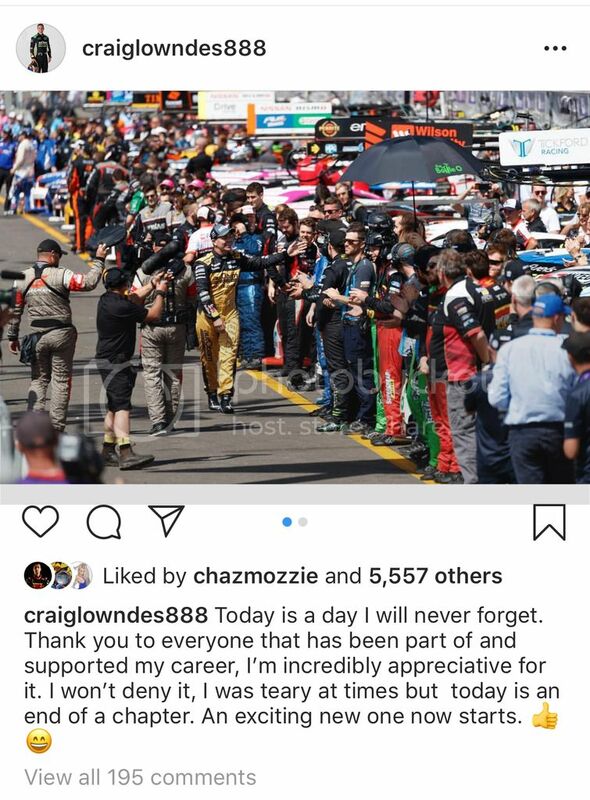 The end of an era this weekend with Lowndes, last drive as a full time driver. 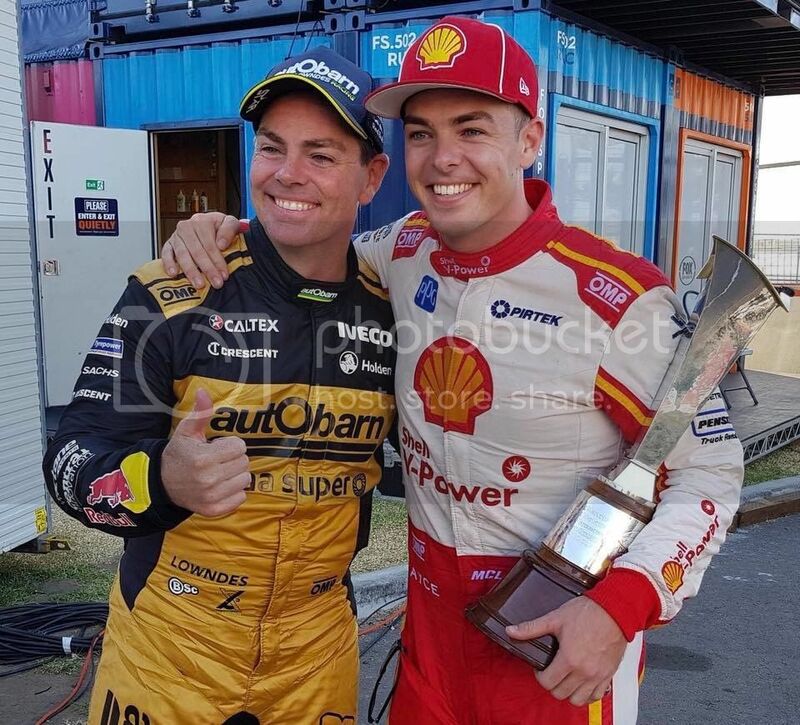 Hopefully plenty of good years as a co-driver for the endurance events, and a few more Bathurst wins. Enjoy the next phase of your career. And I will grant you a pardon for passing JB at Bathurst in ‘94. I'm not convinced about this retirement thing. It's only come about cause Roland couldn't find funding for his car. 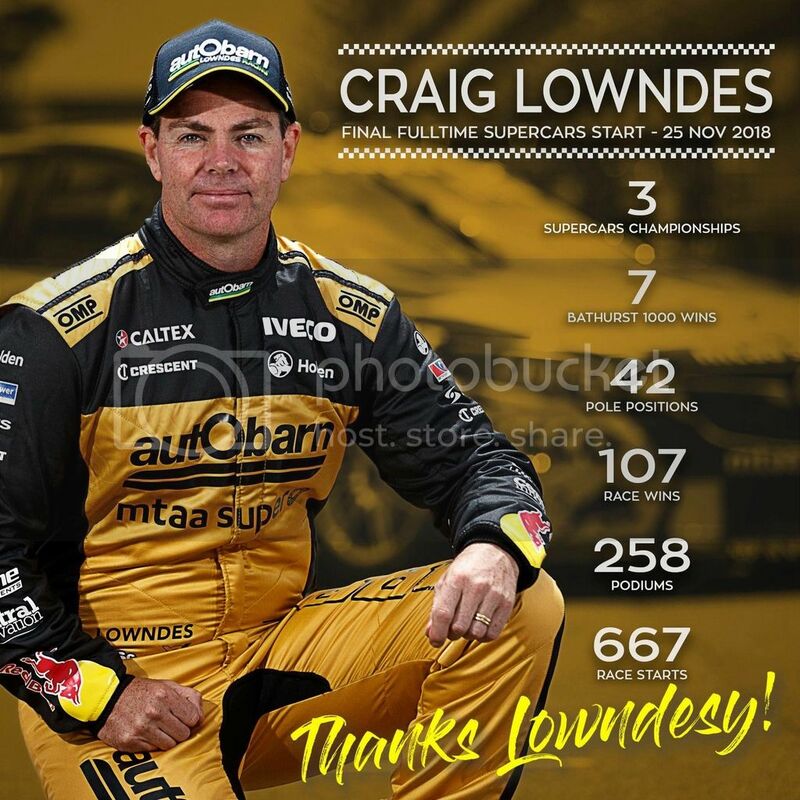 Had a sponsor signed on for 2 years, would Lowndes commit for 2 more years? Absolutely IMO. Yes he's said he's comfortable with the decision, but contractually he probably has to say that... I reckon by mid next year the hunger might be too much for him, especially if he has good endurance results. You'd think they'd be plenty of teams, that would still sign him in a heartbeat. Dare to say this is a sabbatical to do some stuff out of his system. (GT3, GTLM, media, etc) 2020 he'll be in a different team. Didn't he say a few times he wanted to retire his career driving a Ford? Given what he has done in the sport, if the plum drive isn't available where would you go? I couldn't see Lowndes driving the Blanchard car or going to Team 18 - where else is he supposed to go? 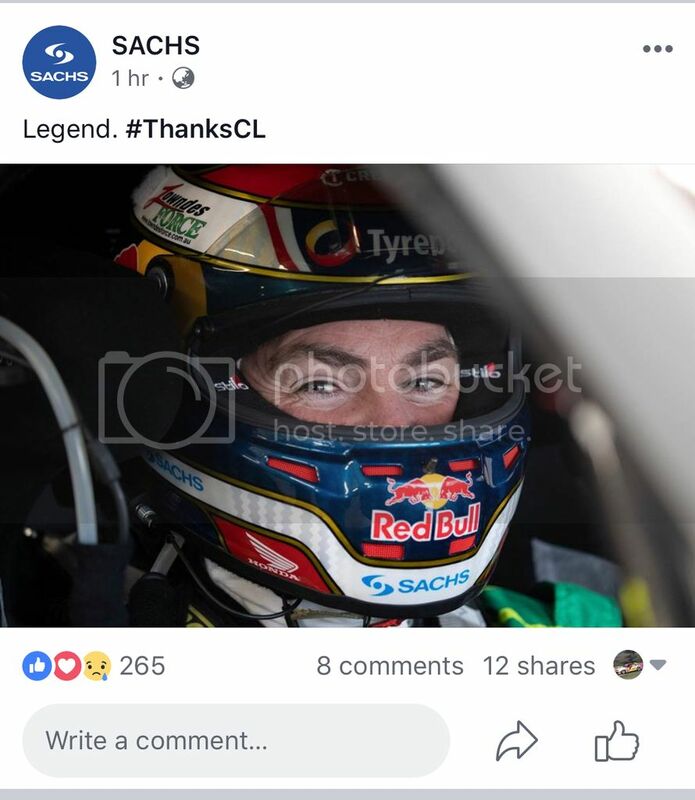 I don't think he'd do an Ingall and go to LDM to keep the dream alive. I do think after 24 years he should do it fully on his terms. I think the competitive juices still flow pretty hard and watching from the sidelines next year, might prove difficult. WAU? Tekno with a pukka 888 car and tech support? Plus I don't think I could handle him in the commentary team. Crompo and Skaife will be sickening. Bit sad actually. A part of my childhood is over. Always wanted to race against CL in the V8's but alas he's retired and I never got into the main game or Super2. Yes me too.... I confess to a lump in my throat so no idea what he was going through emotionally. Is this the changing of the guard for the "fan favourite"?